China Shores slot machine was one of the first Konami titles to be adapted for online casino play, and it is clear there is a lot of work ahead for the company if they are to catch up with the online slots industry. Nevertheless, this extremely successful land based casino game does have some great things to offer, especially in the extra features department, so you might want to try it out before you decide whether to include it in your favorites list. 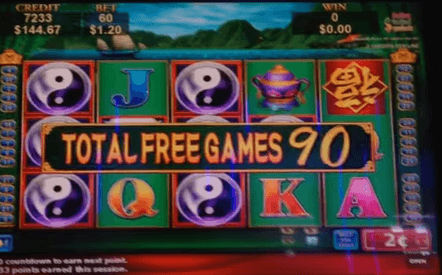 Unfortunately, you cannot play this game for free, but we have plenty of other free slot machines for you to choose from, including the super popular Buffalo slot, Wolf Run and Vegas Hits. First, you should know that there are actually many variations of China Shores slots: China Shores Extra Reward, CS. Double Winnings, 4-5-5-5-4 variation and of course the original game, which is the one that made its way to online casinos. China Shores is played at five reels and fixed thirty paylines, but with coin value ranging from $0.01 to $2, chances are most players would have selected the maximum number of lines anyway. The visuals are not too shabby, with the reels stacked against the backdrop of a small settlement on the sea bank and featuring symbols such as Yin-yang, panda, golden turtle, Chinese inscription, lantern and vase, in addition to six playing card icons. Autoplay is supported, but there are no other options designed to customize your user experience. Panda symbol is the Wild, substituting for other game icons without exceptions and appearing on all reels apart from the first. It seems that the Panda officially became slots industry mascot. There are just so many slots that use it: Panda Party, 100 Pandas (IGT) and of course the iconic Wild Panda slots. Yin-yang is the Scatter and when you get three, four and five of these anywhere on the game screen, 8, 10 and 15 free games are unlocked respectively, with all Free Spins wins multiplied by x2. The Balance of Fortune bonus offers an interesting perk, allowing the player to either select said number of free spins or exchange them for a mystery bonus prize. This is definitely a nice option to have, but we have a feeling it is better to stick to the free games. 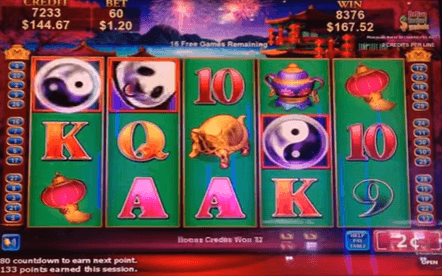 China Shores is definitely not among the best slot machines we have reviewed, but it houses an interesting theme, decent looking symbols and a couple of valuable special features that could award impressive wins when triggered. 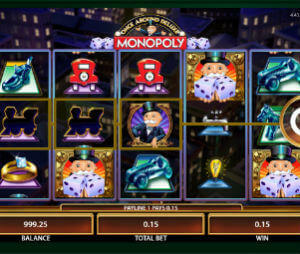 The fixed 30 paylines may prove a problem for amateur gamers, whereas the 94.09% payout percentage is average at best.